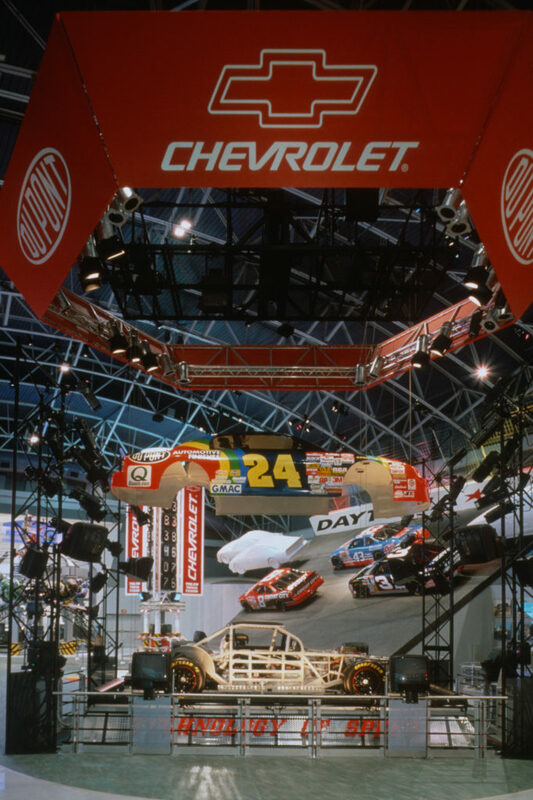 The world of motorsports, more specifically NASCAR, has simply exploded in popularity over the last several decades. 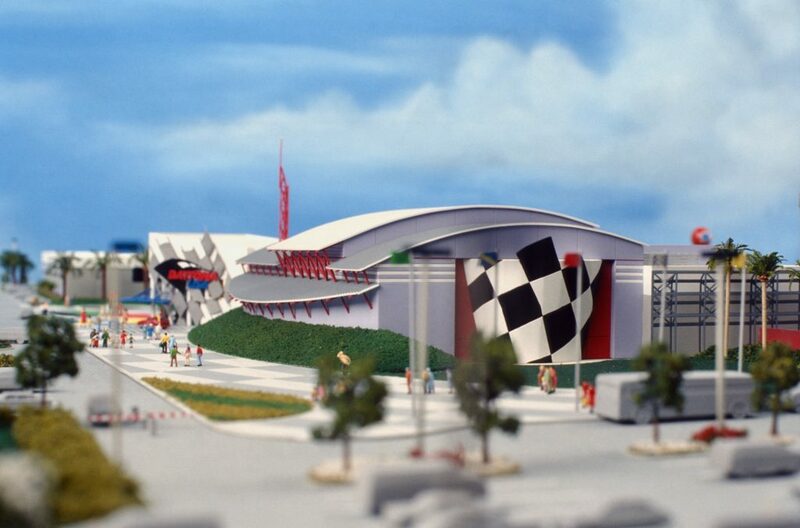 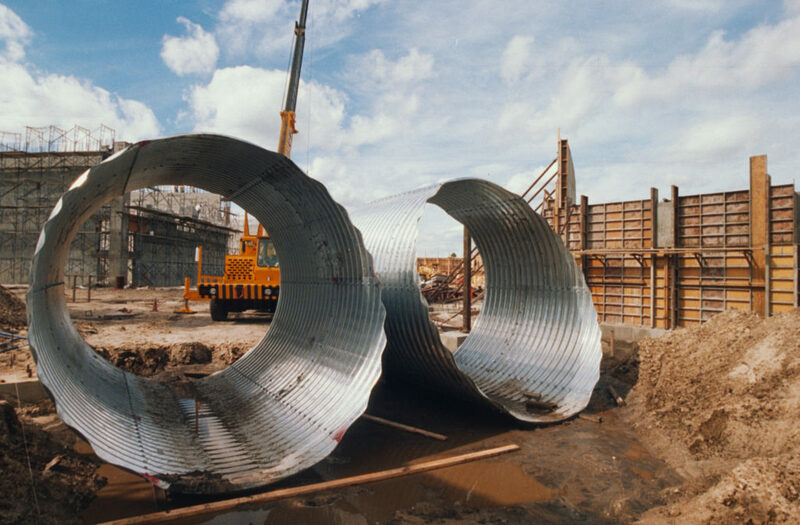 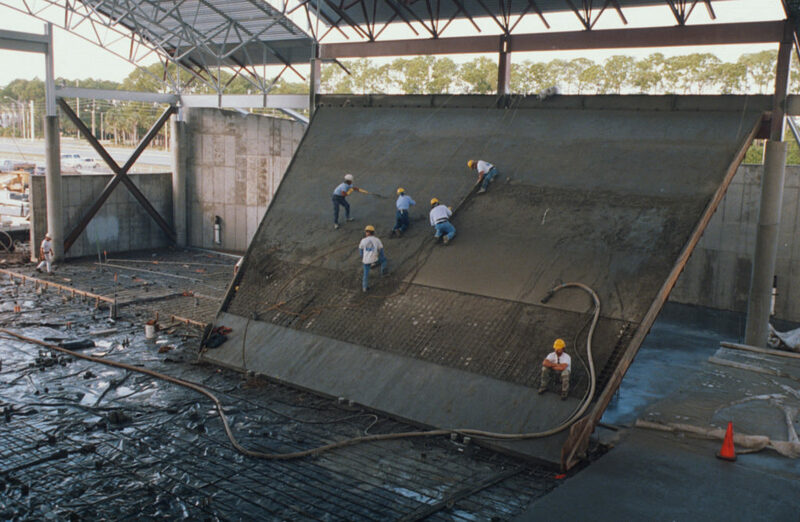 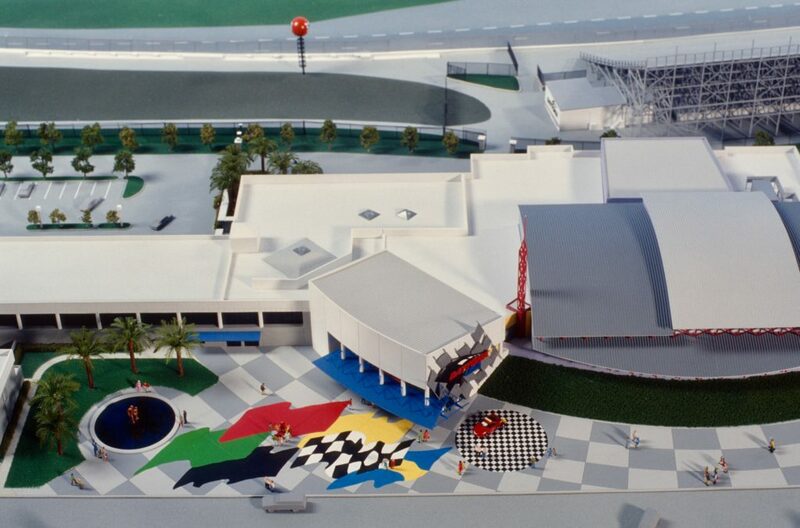 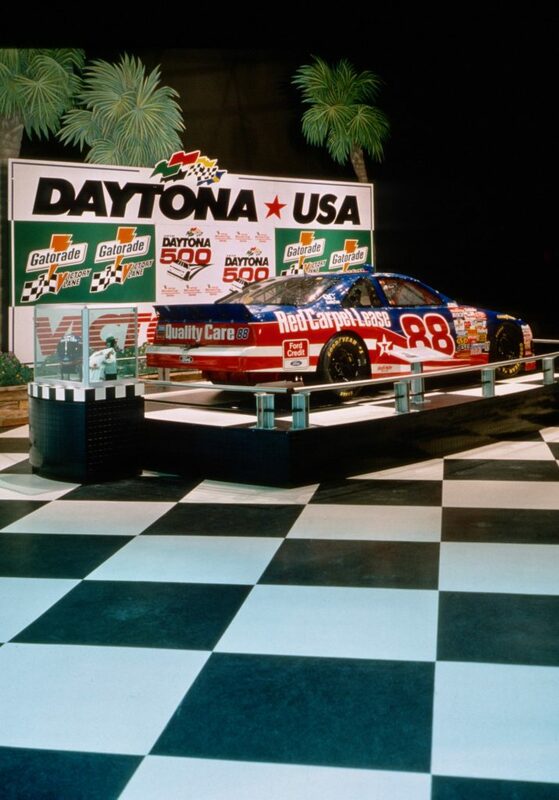 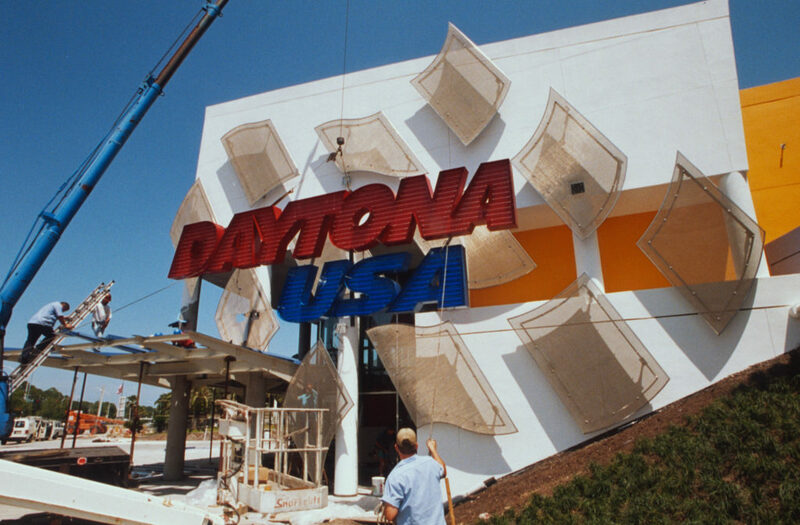 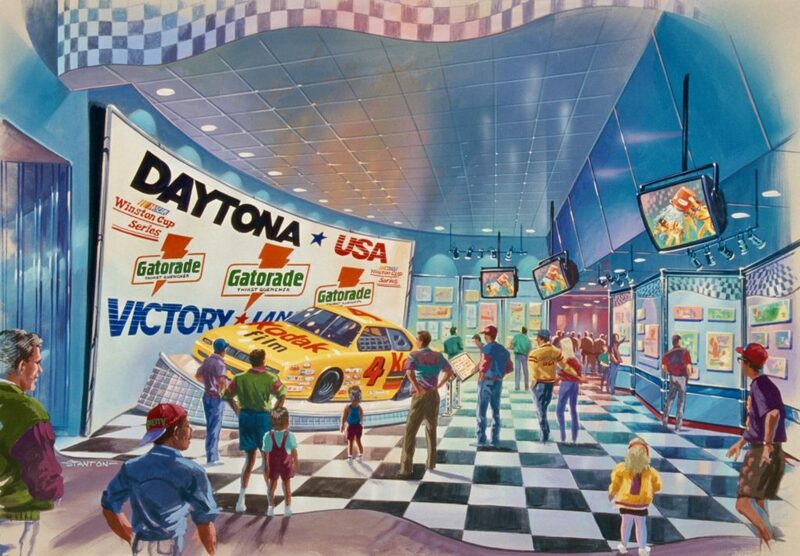 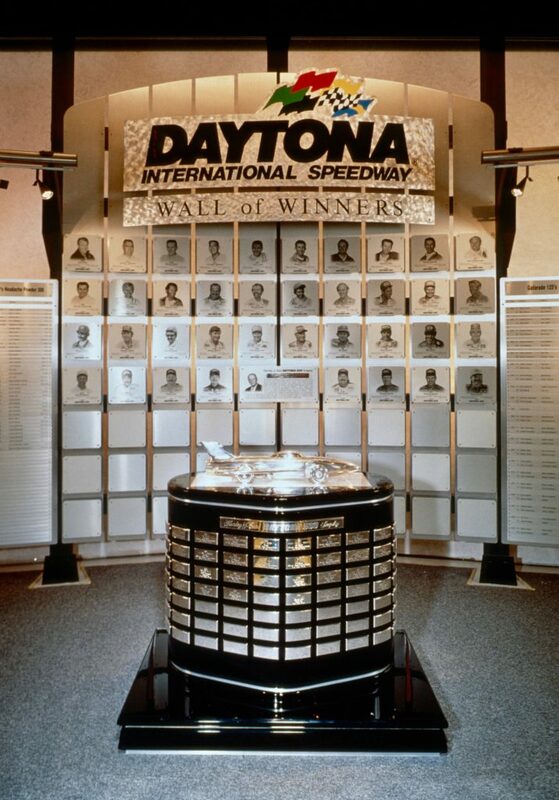 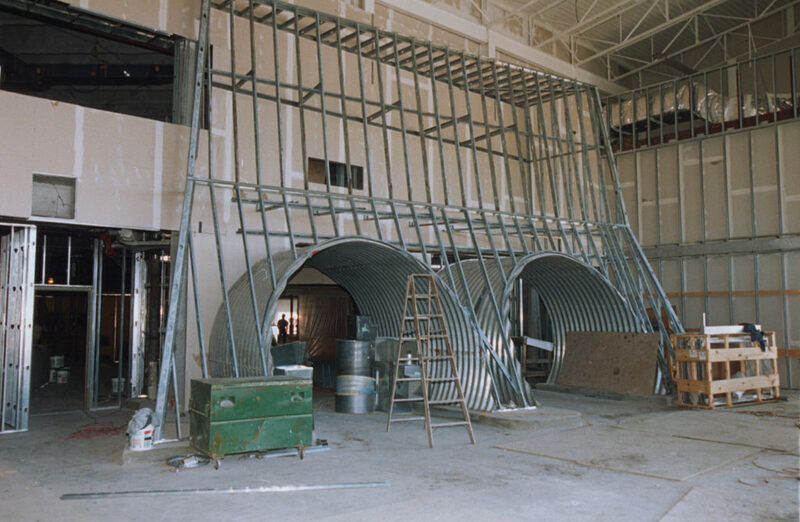 International Speedway Corporations (ISC), selected Exline Design & Architecture, to spearhead the creative development of their interactive race-themed attraction called DAYTONA USA. 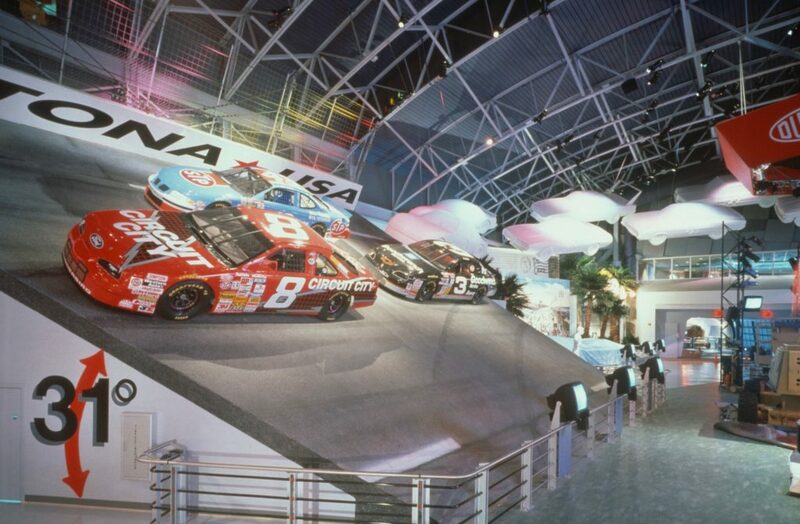 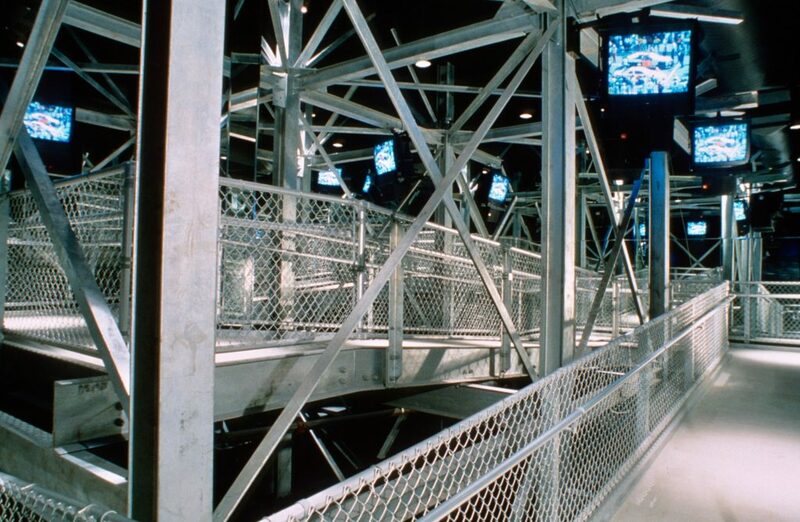 Sited immediately adjacent to the Daytona International Speedway racetrack, the 50,000 square foot interactive interpretive center features over fourteen exhibits, attractions, and a 15-minute large format film experience. 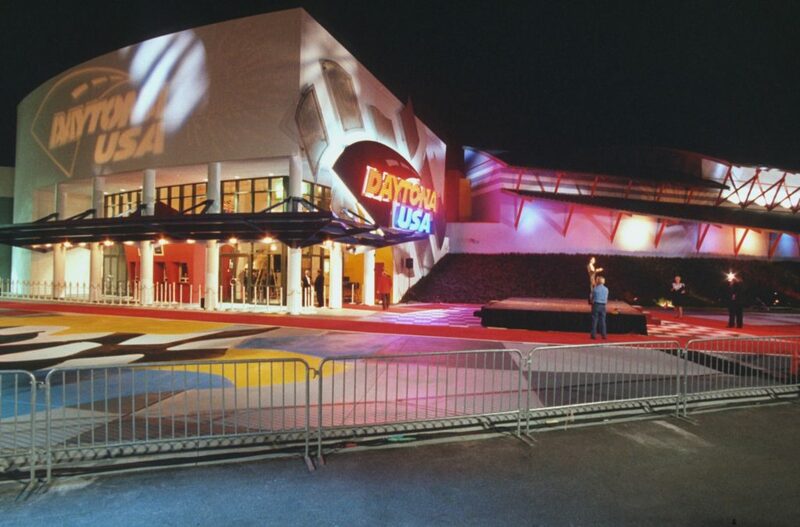 Within the facility’s main exhibit space, fondly called the “Velocitorium”, guests have the opportunity to set-up and test-drive a competition car in a virtual world depicting Daytona International Speedway. 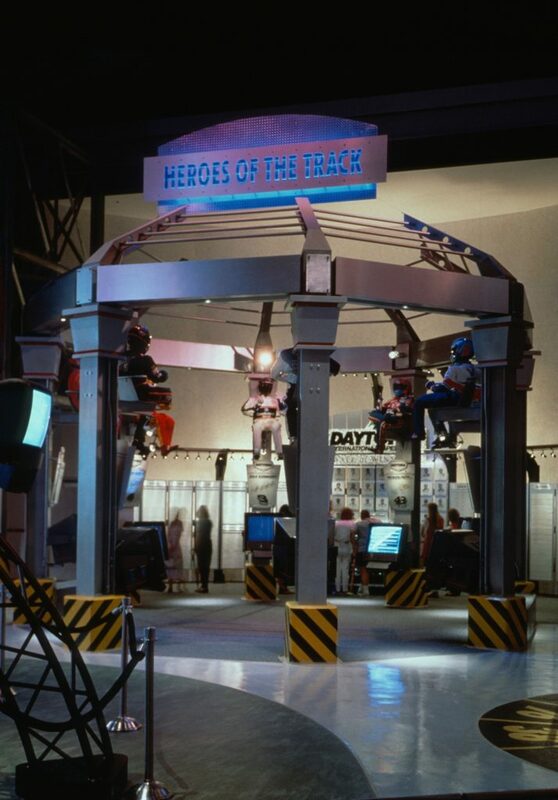 A real full-scale race car is robotically pulled apart into many of its components so that visitors can see how a competition car is different from the car they drive at home. 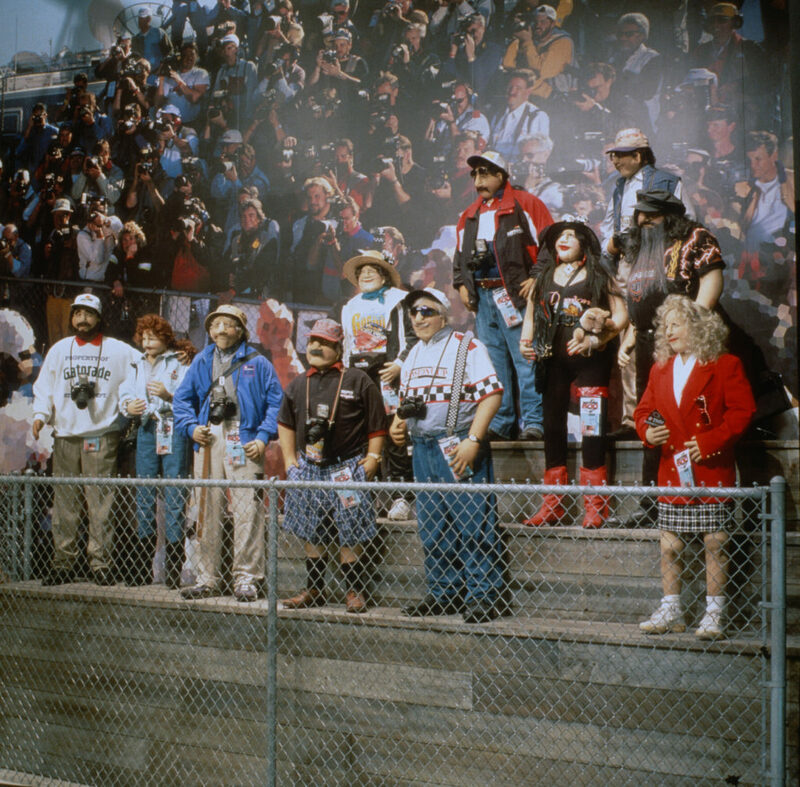 Celebrity driver interviews, a walk through the history of racing, and a fourteen-minute large-screen format film about the "super bowl of racing"... 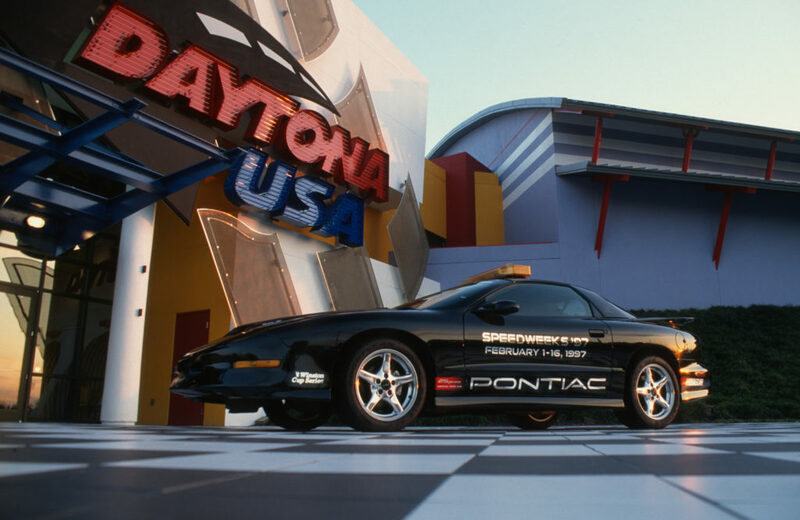 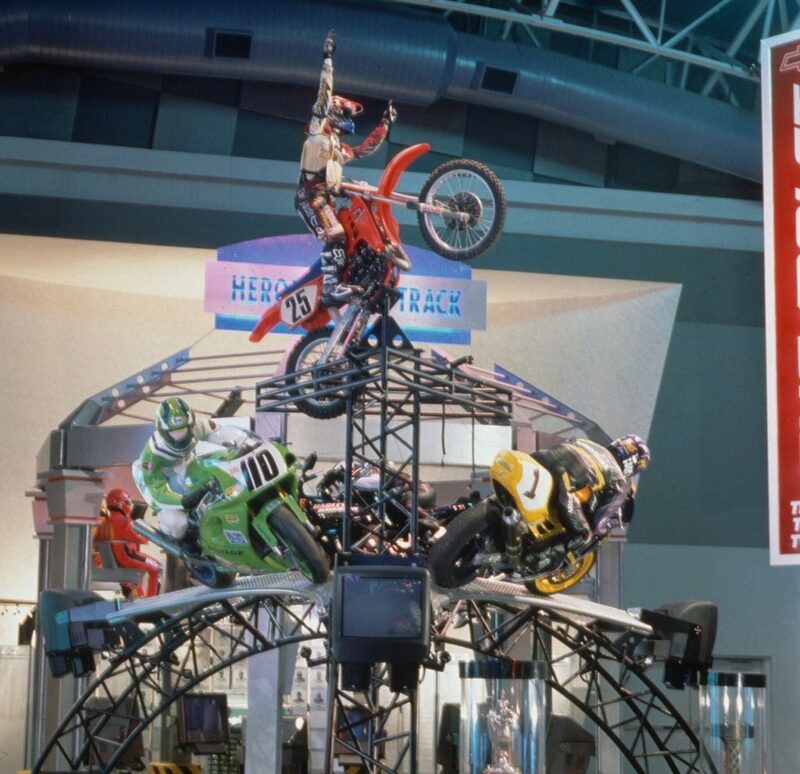 The DAYTONA 500... are all a part of the guest experience at this highly charged motorsports-themed attraction. 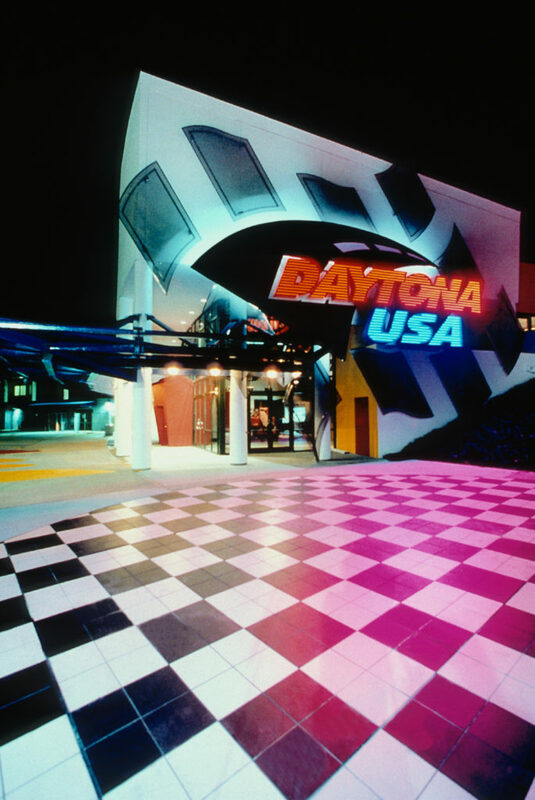 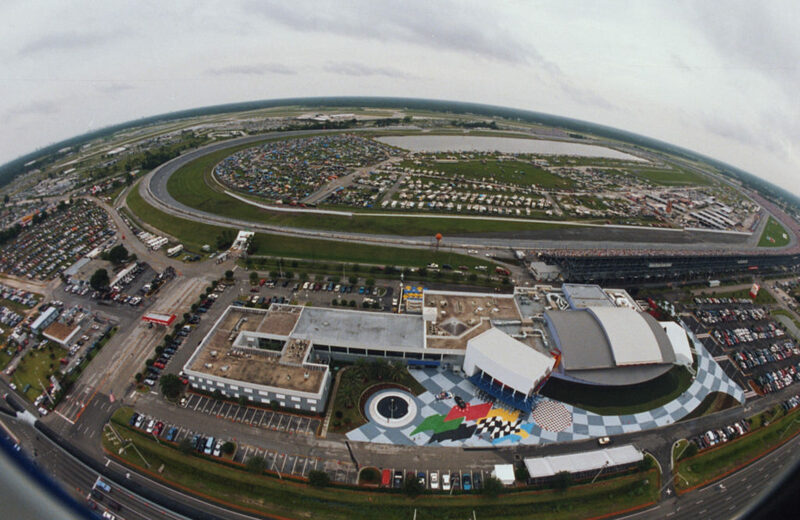 Daytona USA is sited track-side at Daytona International Speedway, the "World's Center of Racing". 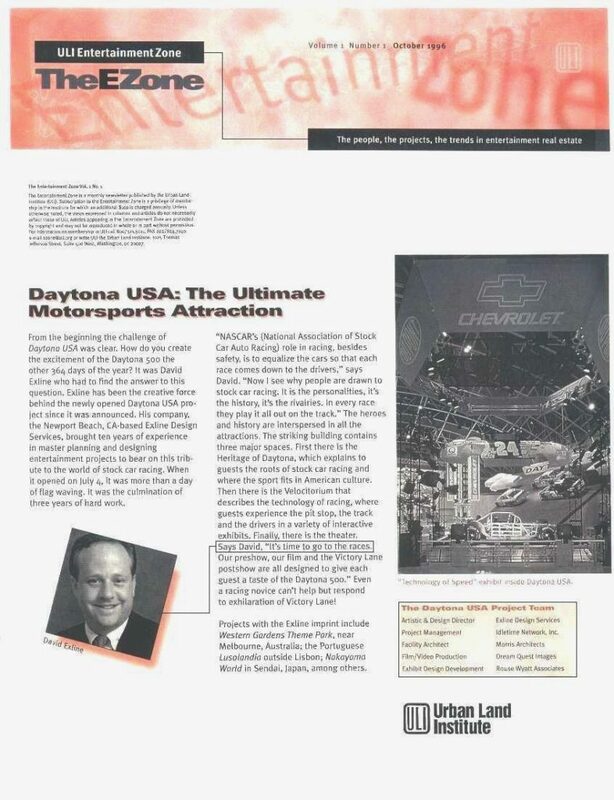 Executive Creative Direction: Mr. David Exline, Exline Design & Architecture; Facility Architect: Mr. Walt Geiger, Morris Architects; Experience Design: Mr. Larry Wyatt, Rouse Wyatt & Associates; Project Management: Ms. Jane Jackson, Idletime Network, Inc.; Construction Management: Mr. Chuck Coleman, Coleman Goodemote Construction; Client: Ms. Lesa Kennedy, International Speedway Corporation.